Today's Worship Quote is another from The Dialogue of Worship: Creating Space for Revelation and Response. 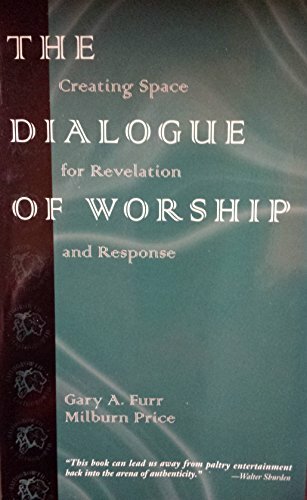 The authors develop the metaphor of "dialogue" as they explore the dynamics of biblical worship in the Christian church. This week, a note about the contribution music makes (or doesn't make) to the dialogue of worship. "The primary functions of music in worship are to facilitate the dialogue and to contribute to that dialogue. Though aesthetic delight, personal enjoyment, and opportunity for a performer to share a talent may be by-products of the use of music in worship, none of these should be a primary purpose. Unless music can make a meaningful contribution to the dialogue of worship, it should be omitted. It would be better for music to be absent than for it to be an interruption or distraction." - Gary A. Furr and Milburn Price, The Dialogue of Worship: Creating Space for Revelation and Response (Macon, GA: Smyth & Helwys, 1998). I highly recommend this book to pastors, church musicians and anyone who plans, leads, or participates in worship in a local church.